Sean Gentile Child Support is Unique. We listen to each detail of your child support case. We educate you on all the court procedures. We supply, prepare, and notarize your court documents so you can receive a court date. You may call us as anytime, as many times as needed, throughout the process with your questions or concerns. Whether you are having difficulty collecting child support, are looking to have your payment reduced, or need to modify your child support agreement, Sean Gentile can help! 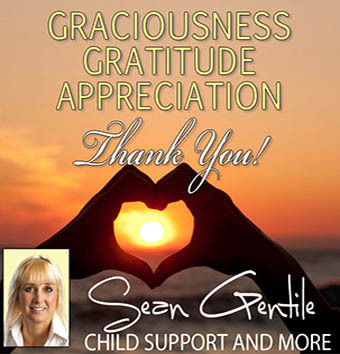 With more than 2 decades of experience, Sean understands what steps are necessary to resolve all types of child support cases, and she will share her knowledge and expertise with you. We understand that this is a stressful time, and we are here to provide you with the information, resources, and child support services you need to feel empowered in handling your child support situation. In addition, we also work with individuals to address paternity and time-share needs. We provide parents with tips to help support themselves and their children throughout the divorce process. Visit our blog to read about how to help keep the best interest of the child.